Lions SpeedFLEX Helmet | Sports Memorabilia! Lions SpeedFlex Helmet for Sale! 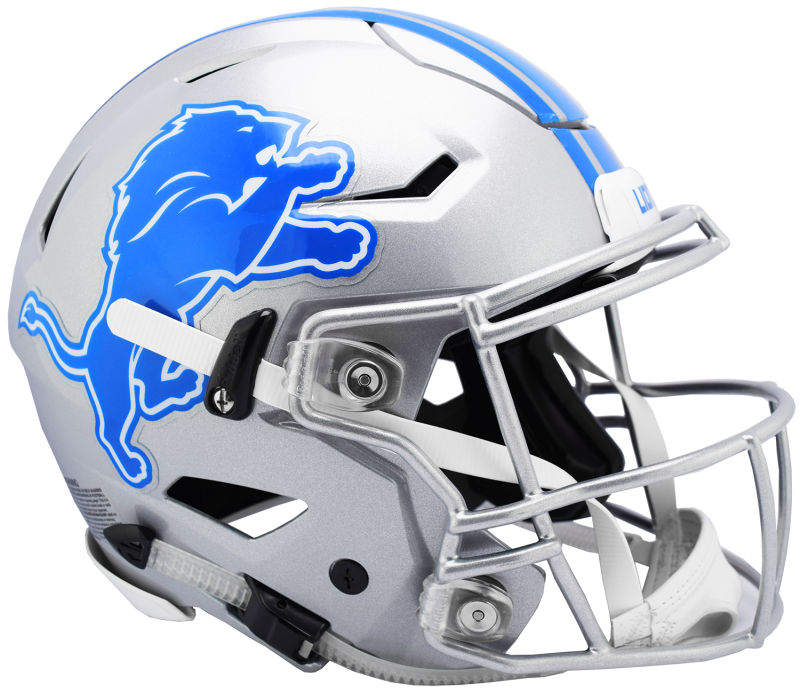 The Authentic OnField Lions SpeedFLEX Helmet used by the Detroit Lions players. Made by Riddell, these onfield Lions helmets come with the quick release facemasks, updated helmet liners, the Amercian Flag decals and the authentic pads and team decals. The Lions Speed Flex helmet has become the new desired football helmet for many NFL Lions players. Each authentic Detroit Lions Speedflex helmet is made to order. After ordering please allow 3-4 weeks for your Lions Speed FLEX helmet to be shipped to you from Riddell. Only authentic model Lions SpeedFlex helmets are made. No replica full size or mini SpeedFlex helmets are produced.